TOPAZ HORIZON: Light therapy benefits on skin: Do they work? Big confession: Before I get any treatment done, I devote a ton of research to it, but when I went to Flawless Face & Body Clinic for the Flawless Rejuvelite Mask Facial, I had been so busy I just said yes to it without knowing what it was. So when my aesthetician positioned what basically was a lamp on my face and I was bathed in blue light for 15 minutes, I went, "Okaaaaaaaay, what's this supposed to do?" The light is not your usual light because this penetrates deep into the skin and causes skin-beneficial reactions. And nope, this light doesn't damage skin at all. Because my main skin concern is acne, I agreed to the recommendation of Flawless to try the Flawless Rejuvelite Mask Acne Control Facial. As you can see in my photo above, the light is blue. Blue light is beneficial to acne sufferers like me because it kills the bacteria present on the skin and also the ones deep in the layers, the bad bacteria that cause all the cystic acne that's so painful! I will admit that 15 minutes bathing under blue light was, well, not thrilling for me. But when I read the report made by the National Center for Biotechnology Information of the U.S. National Library of Medicine that blue light therapy does wonders to pimply skin, I was sold because I love science! 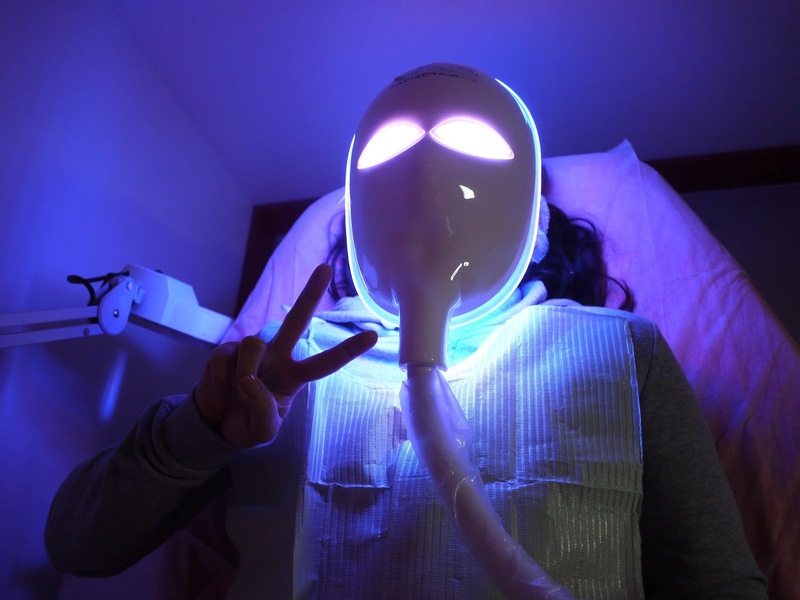 "Phototherapy with visible light, specifically blue light, has been shown to improve skin condition in cases of acne and blemishes.4 It is further reported to control the condition before an outbreak occurs. This blue light therapy is clinically shown to control acne without harsh chemicals or prescriptions and improves the skin’s appearance. " I'll do a proper review soon since I just started Rejuvelite and I want to see its full effects after a week or so. Meanwhile, to learn more about the LED light therapy that Flawless is offering, read this and then maybe you should give it a try! Right now, a few days after my first Rejuvelite Mask Facial, my skin looks really glowing. I think I've found my new favorite Flawless treatment! Come back soon for my review! JAN. 2018 UPDATE: Sorry it took a while but here's my review!